Video marketing campaigns are essential to the success of digital marketing as this help to get leads. Studies revealed that of all the internet users, 45% of people watch videos online every day. To get the most from the popularity of videos, digital marketing teams have adopted video marketing as their favorite. How Viewability Differs between Various Social Media Platforms? Viewability is defined as fifty percent of the content playing for two seconds even when the sound is off. When talking about viewability, video ads on YouTube are considered viewable most. Highest visibility is on mobile devices and tablets. Viewability is one of the useful tools to measure the video ad effectiveness. It has two components. A human and the ad should see the Video ad should be able to be seen on the website. Facebook allows marketers to check if their ads have a chance of being seen and if they are being shown to the right people. Different social media platforms have different standards of viewability. The metrics that are required for measuring the effectiveness of video marketing campaign depend on how the video is used, on which platforms and the goal of the campaign. When measuring YouTube marketing campaign success, ‘Subscribers’ metric is more relevant. If it is a Facebook ad, then click through rate is essential. Here are other important metrics for measuring video marketing. View count is one of the easiest metrics to measure. However, views are counted differently on different platforms. A 30 seconds watching is required on YouTube to consider it as a view. Facebook counts it as a view after 3 seconds. View count is an essential metric for those who want to reach as many people as possible. Play rate is another important metric and depends on the platform used. This is the comparison of people who watched the video to the number of people who had the opportunity to watch it. If the play rate is low, then necessary adjustments need to be made to improve it. Another important metric for measuring video marketing campaign is the click-through rate. This is an important metric if Facebook is the chosen platform for video marketing campaign, click through rate is very important. This is treated differently on different platforms. If click-through rate is too improved, there should be a right call to action and also have high-quality video content. The conversion rate is the most important metric for video marketing. The conversion rate is the percentage of video viewers converting into customers. Video campaign success cannot be measured just by the number of views. Right Key Performance Indicators (KPIs) have to be identified to precisely measure the video ROI. 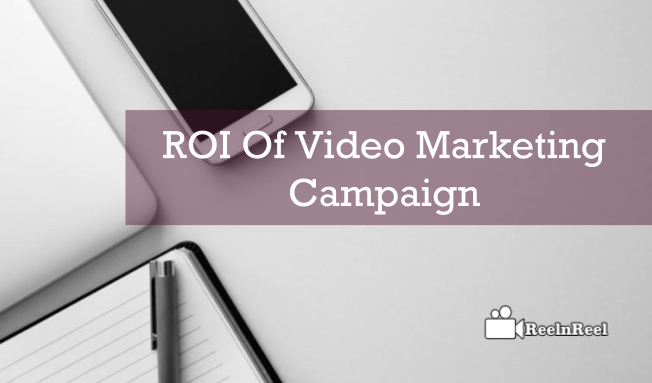 It is critical for the marketers to measure their video marketing campaign ROI. To identify the KPIs of video marketing, first, define the campaign goal. After defining the goal, identify the KPIs. The KPIs must be specific to the goal. If the goal is to increase brand awareness, View through rates and impression are the best KPIs to track. Use the right analytic tools to measure the key performance indicators. Tools such as AdWords, YouTube can be used to analyze the views, impressions, watch time and other KPIs. After analyzing the data, adjustments can be made to the campaign. It is not easy to deal with KPIs, and so the assistance of professionals can be taken. Video marketing is tricky, and it is essential to hire a video marketing company to get more out of the investment. Determine the goals first and then find the right video marketing company. Here are some of the best video marketing companies. Digital Marketing Agency is one of the best companies for video marketing. This was founded in the year 2002. Primary clients are Jet.com, TripAdvisor.com, and others. 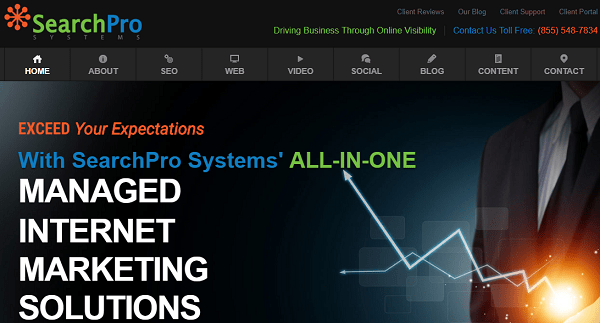 SearchPro Systems is another favorite video marketing company founded in 2007. It has big names on its client’s list that include the Legacy Financial, Red Brick Clothing, Endeavor DNA. iProspects was found in the year 1996 and served big names such as Yellow Book, Allegis Group, Delta, Avis and so on. It offers services like Pay Per Click Management, Link Building, Search Engine Optimization and others. Online video marketing statistics demonstrate that digital video content is growing as well as the online video viewership. In the coming two years, eighty percent of the internet traffic will watch online videos. YouTube is the most watched and visited site after Google. Stats also reveal that one minute of video content is equal to 1.8 million words. Fifty-one percent of video plays are on mobile devices. More than fifty percent of the internet users search for videos related to a product or service they intend to buy. 80% increases the conversion rate if a video is included on the landing page. Video marketing campaigns are included in the content marketing strategy as these deliver the message powerfully and can reach a large number of audience, resulting in growth of the business. High-quality video content placed at various points through sales funnel will see an increase in engagement and improvement in conversion rates. Using video marketing metrics to measure the success will set the marketer apart from the competition.